The Tourism Authority of Thailand (TAT) has confirmed its support of the upcoming PHAB charity gala event organised by the Phuket Hotels Association to raise money to fund 20 hospitality scholarships and traineeships for talented young residents of the island. Senior tourism officials will open the event, with other VIPs expected to join as the tourism industry gets together to support the future of the industry through investment in its potential human resources. 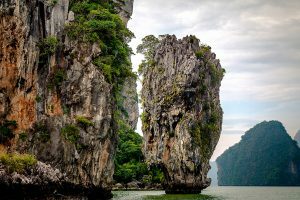 PHAB has quickly become a catalyst for unity in the Phuket hospitality sector – a rallying call for the trade to focus on re-investment into the island. As part of that commitment, PHA members have donated an impressive array of extraordinary travel and tourism prizes for private auction at the event, ranging from holidays in Hollywood, London, Sydney, the Maldives to experiences and special benefits in and around Phuket itself. Through its fund-raising efforts PHA aims to raise the THB3.5 million (USD100,000) required to finance all the scholarships. Live music during the evening will include a performance by Marcus Collins, X Factor runner up 2011 from the UK and Mark Zitti and his 6 piece Italian swing band, with DJ Benjamin Jenkins taking over to hit the right party notes. The entertainment is arranged courtesy of Phuket-based Legend Music, which is run by Gary and Debbie Crause. Inspired Event Travel Asia (event decoration) and Creative Concept CCAV (light & sound), run by James Drysdale, are also major sponsors handling event management and supplying the decoration, light and sound. The PHAB Gala Evening is expected to welcome up to 400 guests on Saturday, 13th May 2017, at the Latitude Marquee, Laguna Phuket from 7pm until midnight with dinner and drinks tickets starting at THB3,900 net and parties-of-10 discounts available. 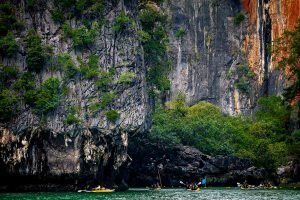 The Phuket Hotels Association has 55 member hotels with a shared goal of promoting the spectacular biodiversity, culture and beauty of Phuket as an island vacation destination. This is achieved through educational scholarships, environmental initiatives and local-community and tourism-development programs.